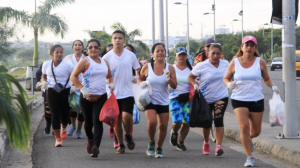 “Plogging” – what the heck is that? This week’s post is all about a fun, innovative exercise that fitness junkies around the world have started adding to their workout routine. Gaining a lot of attention in the media in the last few months, this activity originated in Sweden about two years ago. North American media coverage really flourished back in February and has since spread all over the world. You can now find people doing this activity in Canada, the States, the United Kingdom, Thailand, China, and more! You may have seen this video floating around on Facebook a few months ago. This is how I first heard about plogging, and it has been in my mind often since then. I thought that it would make a great post for everyone out there to read about because plogging is an easy, absolutely free activity that anyone can do to help the planet! 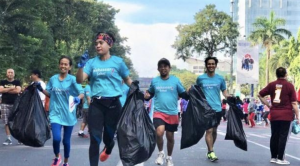 “Plogging” combines “jogging” with “plocka upp,” the Swedish phrase for “pick up.” It’s as straightforward as it sounds: you jog, you pick up litter, you keep jogging. If you’re an outdoor runner or walker, you’ve likely noticed a lot of litter on the sidewalk, grass and forested areas. Not only does this activity allow you to get in your daily exercise, but you’re helping to clean up your route. This helps prevent litter from finding its way into our water systems, as well as cleaning up your route makes it a little nicer to look at. Since this activity began in Sweden, there is a really interesting Swedish website called Plogga which informs and educates citizens about local plogging events, provides infographics on things such as the lifespan of certain plastics (water bottles, plastic bags, etc.) and more. The website is in Swedish, but some parts such as the infographics are pretty straightforward and easily understandable because of their pictures. For other parts, you can use Google translate to get an idea of what they’re saying. 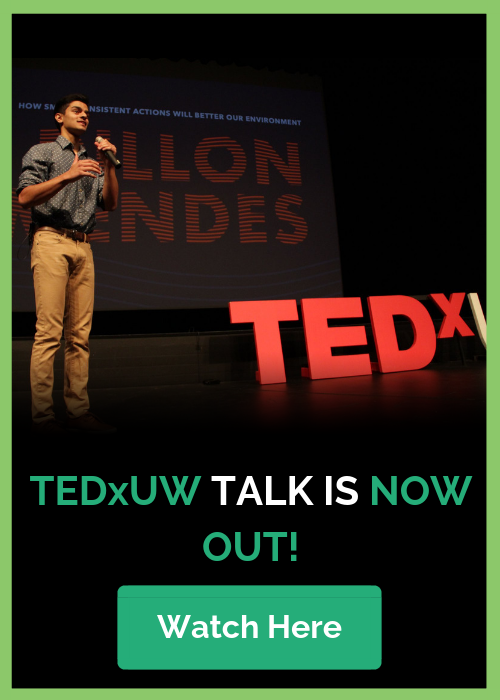 In any case, it’s a great resource for learning more about this awesome initiative. 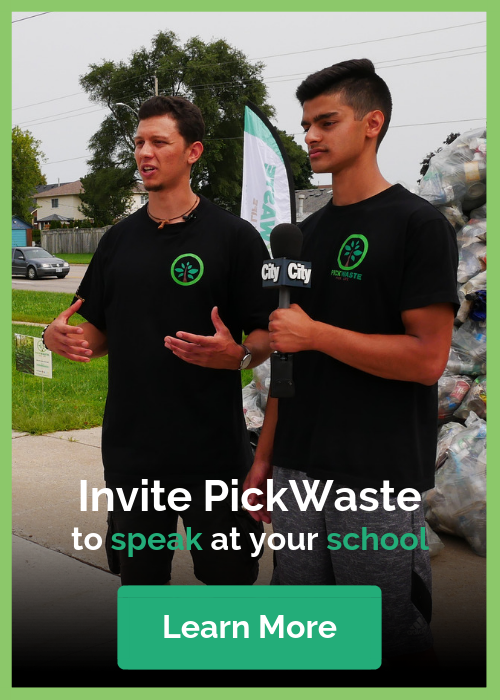 For my friends in the GTA, this resource allows you to find local plogging events to take part in. Some are even happening this weekend in High Park! There are many more plogging resources floating around on the internet, so I recommend that you give it a search and see what you can find! The only requirement for plogging is that you pick up litter. That’s it! What’s so great about this is that not only are you getting litter off the streets, but you are also redirecting more litter to the proper disposal method after you collect it (recycling, composting, etc.). Chances are, the litter you are collecting was once indisposed of properly or not disposed of at all, which is how it ended up on the ground or in a bush in the first place. I talk a bit about what happens to waste that is incorrectly disposed of here, and what you can do to stop this from happening. Plogging may seem silly, but it actually makes your run more challenging! 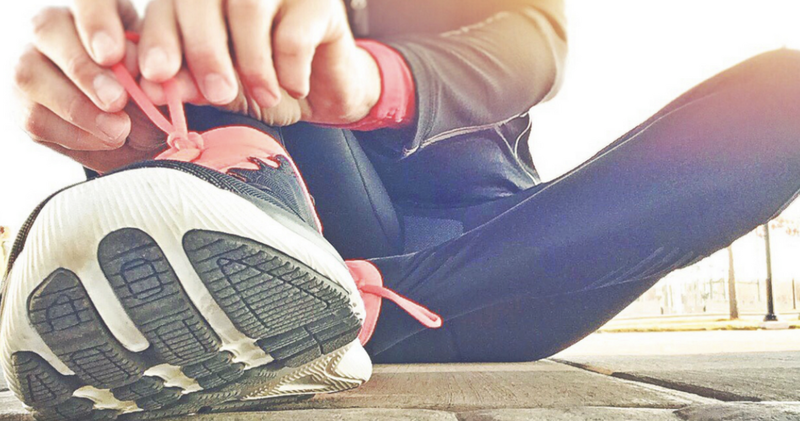 Imagine how many times you’ll be reaching for litter during your run – that’s a lot of squats added to your workout! The constant bending and reaching will work up much more a sweat than just regular jogging will, trust me. It can also improve your flexibility as you’re constantly reaching and stretching to grab the pieces of litter. Who knew that picking up litter would be so beneficial not only to the planet but to your own physical health? If you’re not much of a runner and would rather walk, no problem! I’ve seen the term “plalk” thrown around to describe walking + picking up litter. To plog or plalk, all you need is your running gear, a bag of some sort and, if you prefer, gloves. 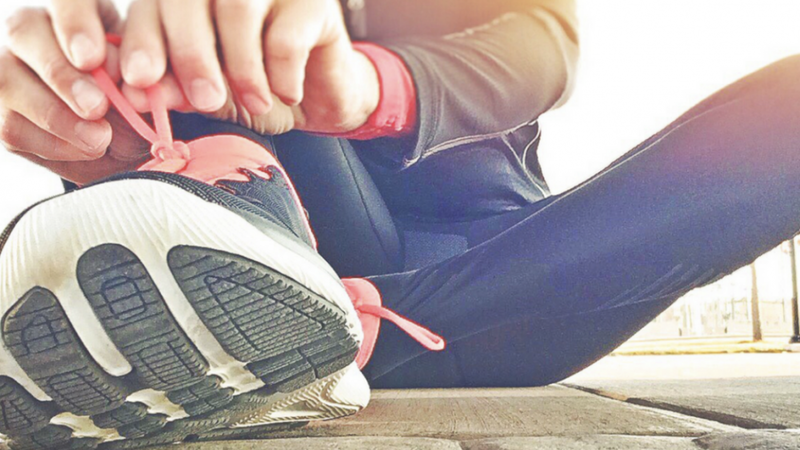 The challenge arises when you usually take your runs or walks on busy streets—some ploggeres report passerbys getting quite angry with them, which I don’t think you would like to experience. Commuters won’t appreciate you constantly starting and stopping in front of them; perhaps this form of activity is better suited to quieter, rural areas or at times when the streets aren’t as busy. PickWaste is constantly stressing how small, consistent actions can make a huge difference. This is yet another way to take a small action on a consistent basis, which will yield tremendous results. Whether you do it once a day, once a week or even once a month, every single piece you pick up and throw away properly does have an impact. I have been plalking for some time now, after I made a promise to myself to pick up at least one piece of litter every time I am walking. I feel good doing it because I know that I am helping the planet and my community through the one tiny action I choose to take. The fact that so many people have started plogging and even more continue to join the movement is so exciting. The more people we get to thinking in this innovative way, the healthier the planet and everything living on it will be. Next time you’re going out for a walk, run or just looking for a fun activity to do outdoors, I encourage you to try out plogging! You could even do it while walking your dog, it’s that simple. Summer is the perfect time for this—but yes, you can do it any time of year! Or if you’re just walking a short distance to a store, coffee shop or school, try picking up just one or two pieces of litter, every single time you take this walk. This is what I do every time I walk, and it really does make a difference. We need more innovative ways like plogging to make our planner cleaner and greener. More and more people are getting on this bandwagon, which is amazing, but we still have so much to do for the world. There are some larger organizations, such as universities, hosting events where groups of people get together to plog; this is a great idea! If your school, volunteer group or workplace are looking to do a fun activity to get them engaged with the local community, recommend that you do a big plogging event together! This would allow a large group of people to learn about plogging at once, all the while making a huge impact on the cleaned environment. Even a ten minute plog or a plog around the block makes so much of a difference. So what are you waiting for? 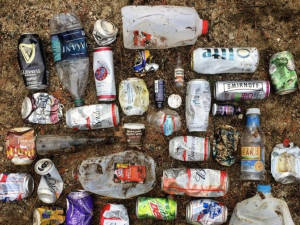 Grab your running shoes, a bag, maybe even a friend, and get plogging! That’s all for today! I hope you enjoyed this post and learned a bit about a fun new way of exercising that does good for the planet and your body. Enjoy the rest of your week, and I’ll see you next week! This Article was written by Jenna Phillips - She is a passionate educator and activist for many movements, including the zero-waste movement and fight for global food security. 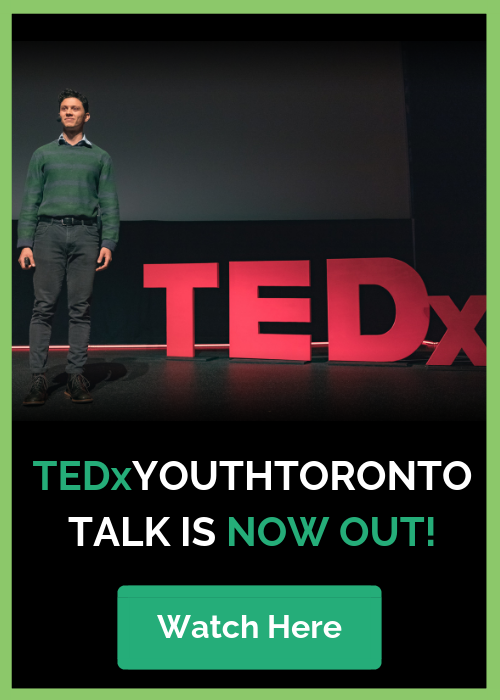 Founders Sam Demma and Dillon Mendes are two of Canada's top 25 under 25 environmentalists in Canada, TEDx speakers and social entrepreneurs. Over the past year they have spoken in front of over 8000 youth and filled just under 1000 bags of litter. Their work has been featured on CTV, CBC, CityNews, 680 News, and many more local news papers. They're teacher kids to respect & understand our environment.